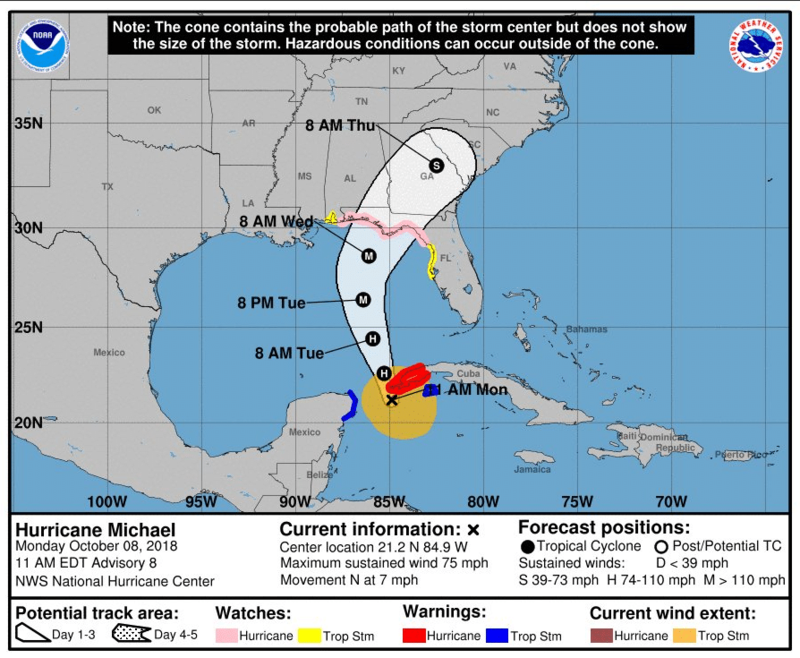 Hurricane Michael is expected to make landfall in Florida by Wednesday and will be a “dangerous” category 3 hurricane when it does. Officials at the National Hurricane Center say that Hurricane Michael “could produce three life-threatening hazards along portions of the northeastern Gulf Coast: storm surge, heavy rainfall, and hurricane-force winds” as experts predict that it will be the strongest hurricane to hit the area in over 13 years. Fortunately, Texas is not in the path of Hurricane Michael, however, it is always important to stay prepared in the event of a major storm or hurricane. According to a study conducted by FEMA, although 80% of the country’s population lives in areas that have previously been hit by a major storm event, 60% of Americans have not practiced what to do in case of a severe weather event while only 39% actually have an emergency plan. Having an emergency plan and actively practicing what to do in the event of a hurricane, coupled with obeying calls for evacuation, could drastically lower the number of fatalities caused by major storm events. Simply put, being prepared can save you and your family’s lives. Follow this simple checklist to help ensure that you are ready for the next major hurricane. Emergency Supplies – Make sure you have all of the basic necessary supplies such as a battery powered AM/FM radio, bottled water, non-perishable food, a flashlight, a first-aid kit, and a knife. Emergency Plan – Have a sensible plan for what you should do if there is or isn’t an evacuation ordered for your area. The plan should also include worst-case scenarios such as what to do when a member of your family becomes separated. Gas and Cash – Although many people already know to fuel up before a hurricane lands, having cash in hand is just as important as electricity may not be restored in an area for some time, making credit card transactions, and thus access to your money, nearly impossible. Insurance Documents – Do you know where your homeowner’s insurance policy is? If a major hurricane goes through your area, it’s highly likely that your home will sustain some sort of storm damage, even if it isn’t noticeable. 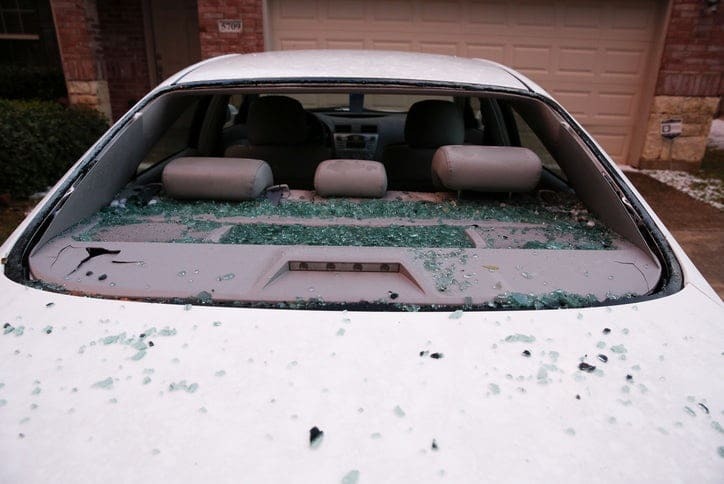 Make sure you’re ready to make your storm damage claim as soon as you return home as different insurance carriers have different deadlines for you to file storm claims. For more information about Hurricane Michael and hurricane preparedness, please visit hurricanes.gov. 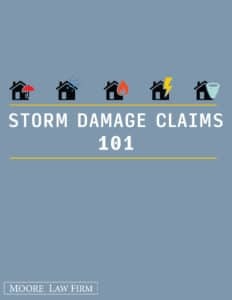 For more information on how you can be prepared for the next hurricane, download our FREE Storm Damage Claims 101 guide today! The hurricane insurance claim lawyers at Moore Law Firm have over 25 years of winning hurricane damage claim lawsuits. Partner with your hurricane insurance claim lawyers at Moore Law Firm today to receive a FREE hurricane damage inspection after your FREE consultation. Call Moore Law Firm today at 1-800-444-2780!